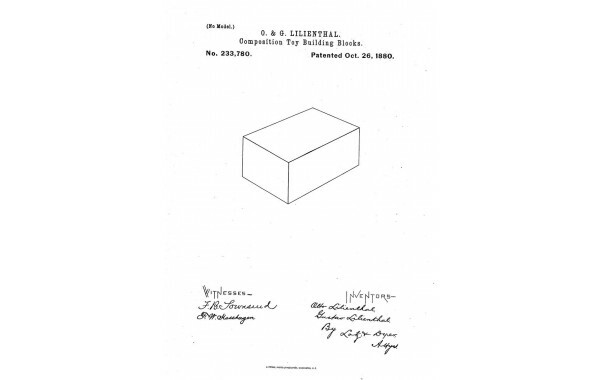 The United States patent for inventors Otto and Gustav Lilienthal for composition toy building blocks assigned to Friedrich Adolf Richter of Rudolstadt, Germany. 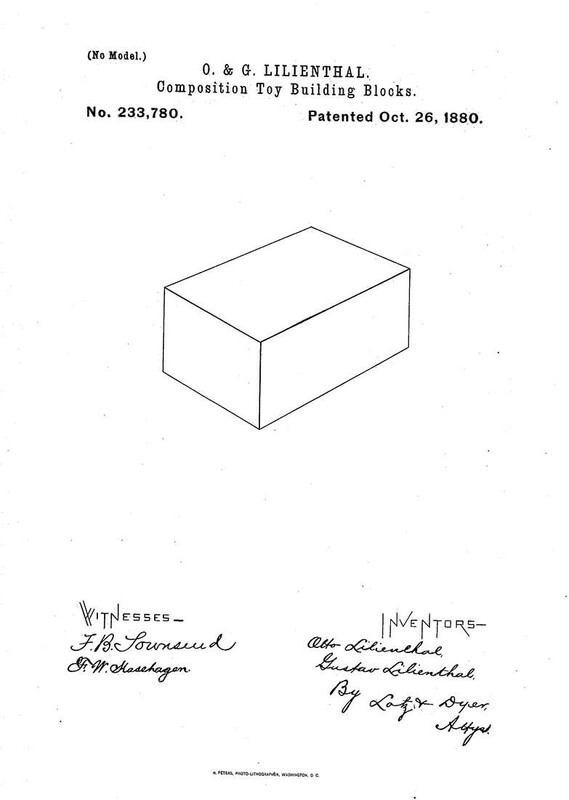 Patent number 233,780 issued on October 26, 1880. The object is to produce toy building blocks which will always retain their shape and color, will not be dangerous to children, and will, by reason of their weight, better retain their position than if made of wood as usual. Two page PDF.